* New pitches - assisting with and drafting proposals. * Crisis management - statements, Q & As. * Press releases, editorials & advertorials. * Professional conferences - support on exhibition stands, delivering talks and presentations to consumers, press and various healthcare professional disciplines. * Participation in brainstorming sessions. * Organising press briefings and seminars. * Liaison with key opinion formers, national, consumer and professional press. * One-to-one meetings with journalists. * Co-ordinating public and media enquiries through the press office. * Development of consumer and health care professional education materials e.g. leaflets, tear-off pads, websites, etc. * Managing responses to 'Ask the Nutritionist' via live webchats. * Radio & TV broadcasting. * Article research and writing for consumer and professionals magazines. * Development of training materials or courses and organisation/running of educational events. * Healthy eating talks to company staff, informal talks to parents and children at local schools, etc. * Confidential individualised dietary advice for employees. Contact me without obligation to discuss your individual requirements further. Consultations are generally carried out on a one-to-one basis. The number of appointments that you may need is completely individual and will be tailored to suit your needs. Appointment times are flexible, with daytime, evening and weekend appointments all available. After your first appointment, a follow up session would normally be booked between one and four weeks later. If you decide that you would like to go ahead with an initial consultation Helen will ask you to complete a Self Referral Form and keep a Food Diary for 4 to 7 days. Please remember to bring these with you to your first consultation! How much will a dietetic consultation cost? My fees correspond to the British Dietetic Association Freelance Group's recommended pricing structure. Payment is due at the time of consultation in the form of cash or cheque made payable to Mrs Helen Bond. Your first consultation will last approximately 60 minutes. During your first visit, Helen will take your medical history (past and present), your diet and lifestyle and any medication you may be taking. Aims and goals can be established based upon your individual needs. Body measurements* will be taken – see body composition testing. A plan will then be set for you to follow, emailed or posted to your home address. 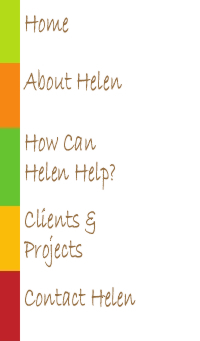 During your follow up appointment you can expect Helen to assess your progress to date. Make alterations to your dietary plan where appropriate. Repeat measurements can be recorded to help you monitor your own achievements. These short follow up appointments are quick, convenient and can help you stay on track to reach your goals. They are a great opportunity to get advice and support from your dietitian regarding any dietetic issues that you may be experiencing or simply to get your body composition analysed to see if your diet and lifestyle changes are getting the results you want. * Body composition testing - Using the latest (Class III Medically Approved) Tanita Bio-Electric Impedance Analysis (BIA) Technology to measure your weight, body mass index (BMI), % body fat, % muscle mass, % total body water, basal metabolic rate BMR (the rate at which the body burns up calories), visceral fat (fat that surrounds the vital organs on the trunk / stomach area) indication and metabolic age (the age level the user's BMR is currently rated at).